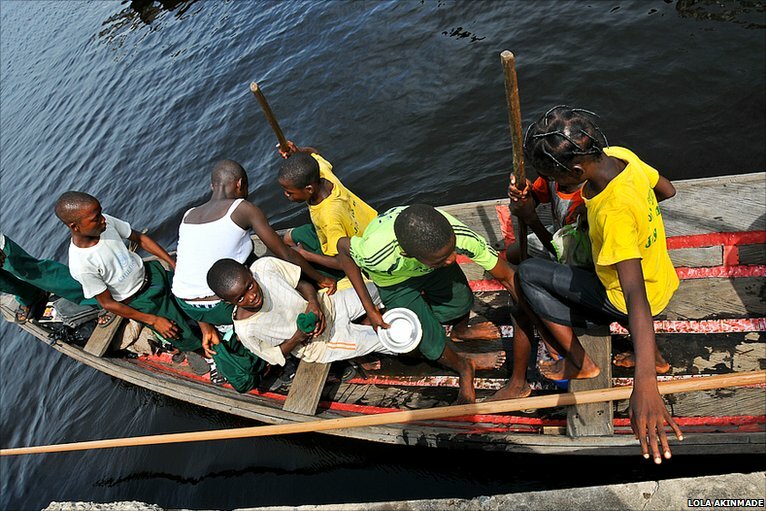 These children living in the fishing villages along the Lekki peninsular, near Nigeria's biggest city, Lagos, have to paddle a canoe across a lagoon every day to get to school. 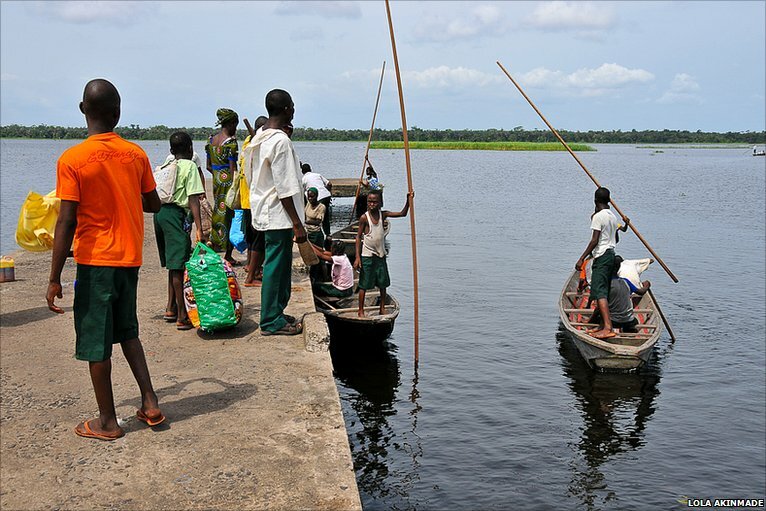 There are some primary schools on the peninsula but no secondary school, so up to 40 children make the one-hour crossing there and back each day. Some take their uniforms off for the crossing to keep them dry. 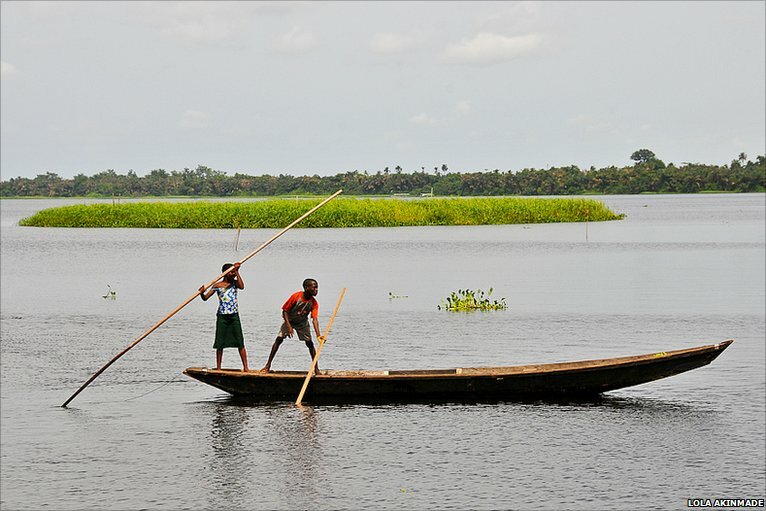 But the students can only use the canoes after their fathers - fishermen - get back with the early morning catch. Then they have to be back in time for their dads to head out again in the evening. 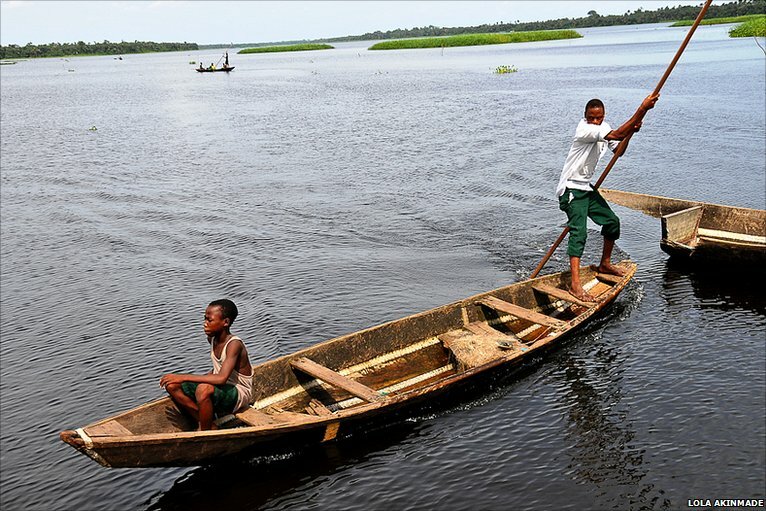 The older children do the paddling - this teenager is manoeuvring his canoe to the concrete pier to pick up fellow students. 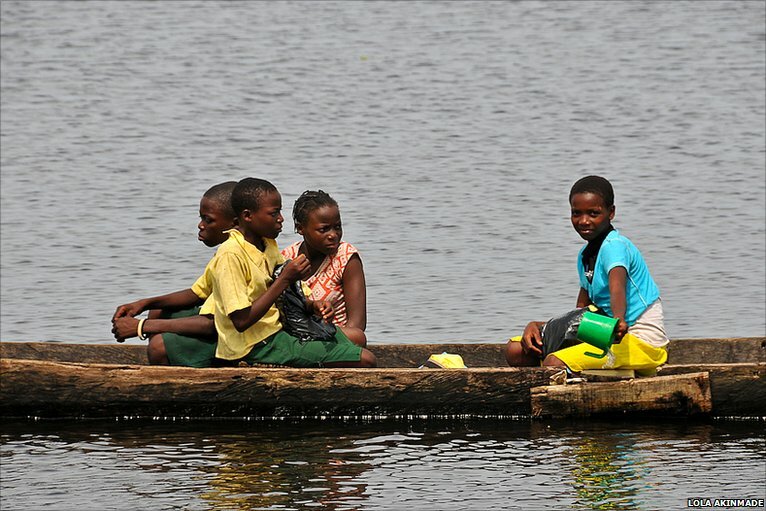 Sometimes other villagers, carrying supplies and food, catch rides on the school canoes. The younger children enjoy the ride, while the older ones try to look after them. 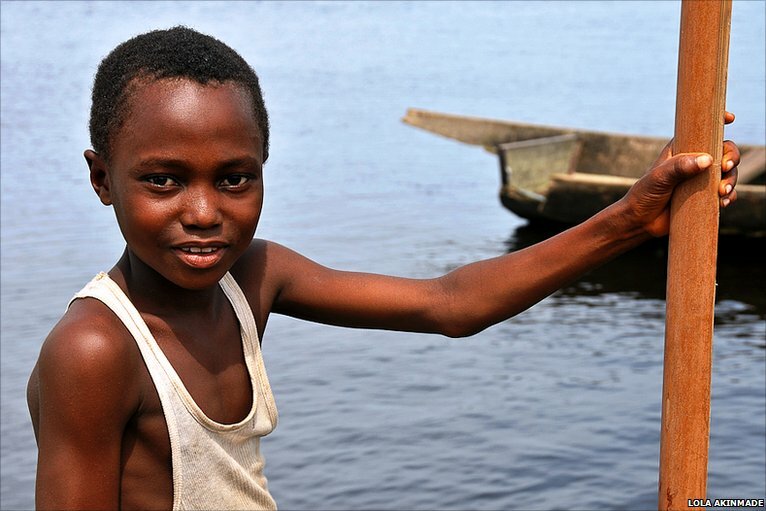 All of the children have grown up in the fishing villages and are strong swimmers. 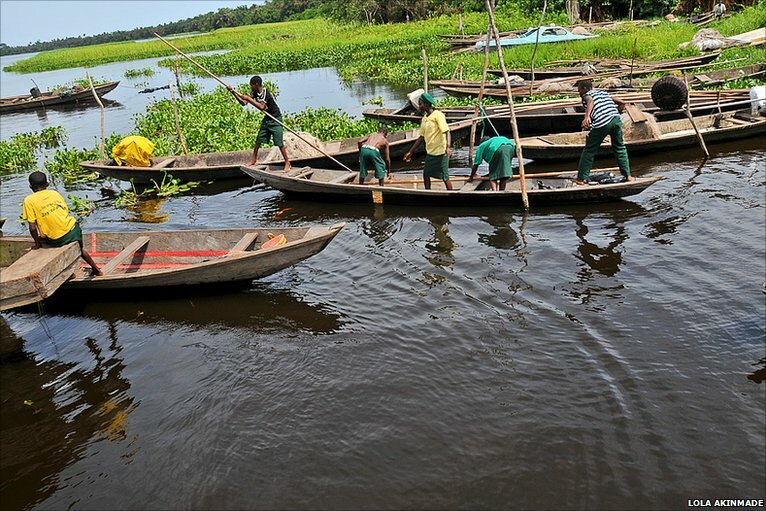 Up to eight canoes make the crossing each day. 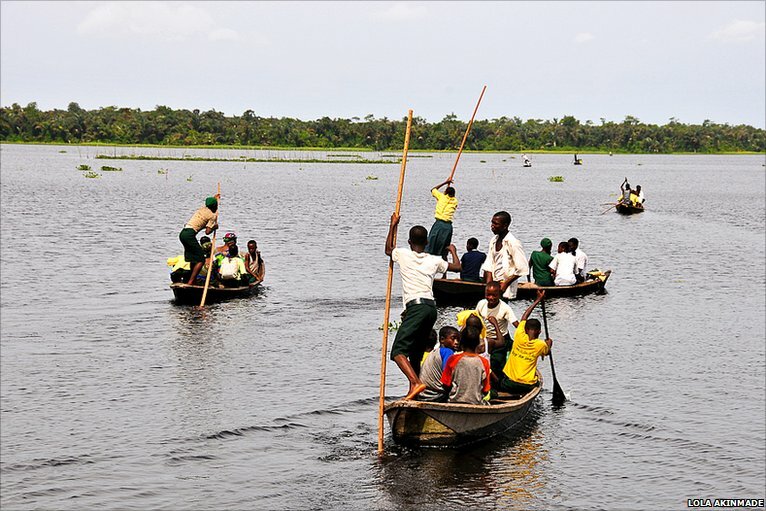 The children try to stay close to each other so they can rescue their schoolmates in case a canoe capsizes but no-one can remember any serious accidents.